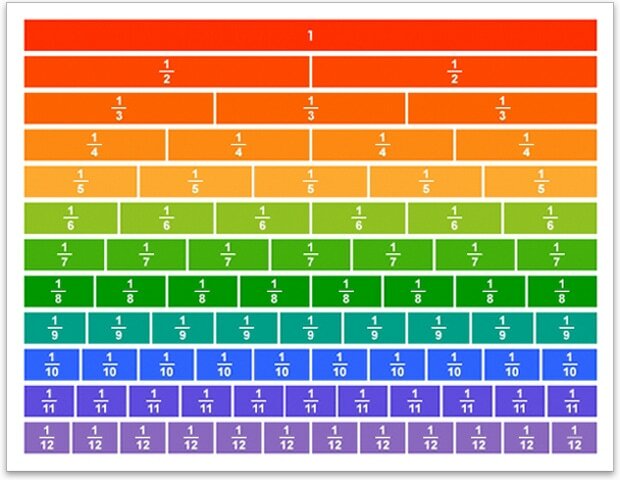 The image below helps you figure out fraction sizes and equivalent fractions. The student uses a limited range of mental strategies to estimate answers and solve addition or subtraction problems. These strategies involve deriving the answer from known basic facts (for example doubles, fives, making tens). The bookmarks below link to various online activities that support Stage 5 mathematics. The student uses counting on or counting back to solve simple addition or subtraction tasks. The student is able to visualise sets of objects to solve simple addition and subtraction problems. The student solves problems by counting all the objects. The student is able to count a set of objects or form sets of objects but cannot solve problems that involve joining and separating sets.